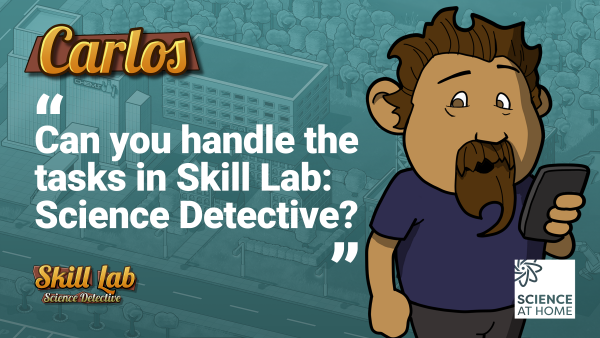 Why are there cognitive tasks and games in Skill Lab: Science Detective? We need to use cognitive tasks alongside with the games as a means of calibration, that is to say, as a way to ensure that the skills tapped by the games are the same tapped by psychological experiments. This is important because we need to be sure the games are providing reliable data for understanding cognitive skills. In addition, we will use the data from the first phase to provide you with a cognitive map and a player persona based on your skills. We know that the tasks are time-consuming and less entertaining than the game itself. However, the more people play these tasks and games, the more accurate will be the cognitive map and your player type that we provide you based on your cognitive skills. Once we have received enough completed gameplays, the first step in providing feedback to you is your cognitive map. This is a map of your cognitive skills as you have used them to play the games. This map is still under construction, and it will become more complex and accurate with more participants playing the games and solving the tasks. We will also give you a diploma of participation as proof of your contribution to science and to reveal the type of detective you are! We hope that the potential of these maps will encourage you to complete the tasks in Skill Lab: Science Detective. Please stay in touch for updates. Thanks again for supporting our work. Your help is invaluable to our Citizen science project!